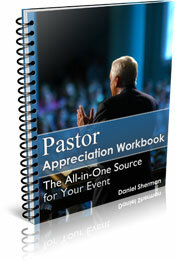 Online pastor tributes are a great way to tell the world how much you appreciate your pastor. Fill in the information below, upload a picture, and I'll post your tribute on it's own page. Send people to your page and they will be able to add their own comments. 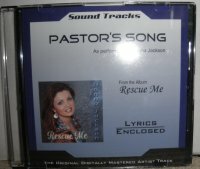 Scroll Down To See A List Of Pastor Tributes. SPECIAL NOTE: Please do not use all CAPITAL LETTERS! It looks like you are shouting and it's difficult to read. I strongly encourage you to add a picture. It's not mandatory, but it makes the tribute come alive. If you don't have a picture of your pastor here's a simple way to get one without leaving your computer. Go to your church's web site on the internet. Find a picture of your pastor on the site. Move your mouse over the picture and right click. That should bring up a small menu of options. Save the picture to your computer - but remember where you saved it! Return to this page. There is a box below that reads, "Upload a picture of your pastor." Click the "Browse" button. Locate the picture you just saved and click on it. Then click "Upload." You've just added a picture to your pastor tribute! Not sure what to write about? Click the question mark next to the title below that reads, "Write Your Online Pastor Tribute Here." That will pop open a small window with a suggested outline. You can also read what others have written about their pastors. I recommend you look at the tribute to Pastor Matthew Lash. His congregation really maximized the potential of these pastor tributes. But there are no rules... just tell the world why you appreciate your pastor! Are You Proud of Your Pastor? What makes your pastor special? Write a pastor tribute here and I'll post it for the world to read! Come on, brag about your pastor! First, it's time to brag! Tell us what you appreciate about your pastor, what makes him or her special. Second, tell us about your pastor - his education, the name of your church where he pastors, the country where your church is located, his family, etc. Finally, tell us anything else you'd like us to know about your pastor. It doesn't need to be fancy...just write from your heart. Click below to read other pastor tributes. Brian A. Mincer, Senior Pastor of Prolific Praise Worship Center, Philadelphia, PA.
Apostle Willie C. Hemphill Jr.
Pastor Apostle Willie C. Hemphill Jr.
Pastor Amos Handsom Jr and First Lady Handsom. Pastor Dwayne M. Shy Sr.
PASTOR EDWIN DON DOZIER IS THE BEST PASTOR THAT YOU COULD EVER HAVE...HE IS SWEET AND SINCERE AND WILL DO ANYTHING HE CAN FOR YOU..LOVE YOU PASTOR!! Pastor Otis Nathaniel White, Jr.
Rev. Anthony A. K. Hodge, Sr.
Pastor Randy F. Allison Jr.
An online pastor tribute is a great way to show your pastor appreciation. Be sure to send others from your church to the page you created so that they can add their own comments. You could even put a note in your church bulletin or newsletter asking for comments. When you're finished here, take a look at these other ideas for pastor tributes. If you didn't find the tribute you were looking for try looking in our 2007-2008 online pastor tributes archive.